Kratom infusion is a company for Kratom Connoisseurs that has specialized in growth and sell of Kratom tea since 2001. All the time these vendors have been in this business have realized the need to grow and sell quality Kratom a secret that has kept them going. They have learned the mistakes Kratom growers make that bring down this business an example being farming Kratom along river barks resulting in flooding in case of heavy rains. The Kratom tree ends up taking too much water that eventually reduce the alkaloid content in the plant hence poor products. Kratom infusion is known to offer the best products in the Kratom market with its 17 center locations across the world. These growth centers are in a dense, virgin forest with extremely fertile soil making the growth process purely organic. Their growth centers are however close to the river sources to aid in watering but are never prone to flooding. 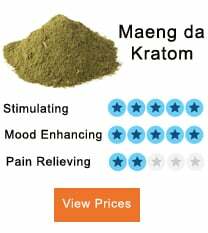 4 How to select quality Kratom? 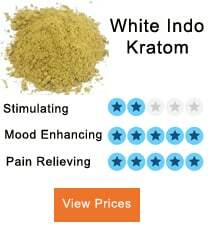 Kratom infusion has a wide range of strains they sell to its customers at varying prices. These products are purely organic and range from powder extracts to capsules. This vendor also sells tea that is branded with their name. This branded Kratom tealeaf gives a chance to people who like taking Kratom in the form of tea without filtering the hassles. This strain is also sold in bulk, but you can even get it at retailers’ prices. It cost approximately €8.99- €155.0 and packed in 28g per. They grow the Cambodian Kratom in South East Asia and is reported to be the only Kratom from these areas with the highest Alkaloid content. Most vendors prefer selling Kratom from Thailand, Vietnam, Laos, and Burma but ignore the possibility of getting quality Kratom from Cambodian countries. That is why they have advanced in growing Kratom from these areas. The least quantity of this strain is a 28g and cost €8.99 to €155.00 being the highest price of the packing. Sunda Kratom origin according to them and the Kratom community remains mysterious. Those who track its origin more closely argue it might have originated from Sumatra. It has unique alkaloid content similar to that of Indo white vein and used by those seeking to relieve pain, relaxation and for long euphoric effects. It is not known to have energy boosting impact though it is associated in helping users enhance focus and mental clarity. This is a powder stain packed in 28g and cost €9.99 per pack. It sold at both wholesale and retail prices. The leaves of the Maeng Da Kratom have long pointed tips, and the strain is associated with robust effects that take longer to go down. It is used in relieving extreme pain. They sell Bali Kratom in powder and capsule form. The least packing is a 28g costing €8.99 and the highest disposal costing €150.00 for wholesale. 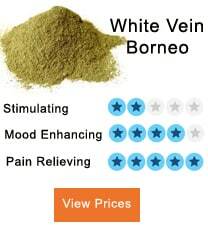 Its origin is from Indonesia and is known to offer relaxation feeling and stress-free experience. 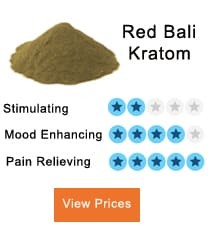 Bali Kratom from reflects magical qualities while offering extreme pain relief for long and short users. This strain cost €7.99 for the least packing of 28g and the highest being €140.00for the wholesale price. Malay Kratom is sold in freshly picked leaves or as an energy boosting drink. It’s mostly sold in the far north of Malaysia border of the Thailand country. Among other products of Kratom Infusion is the Vietnam Kratom that is sold at €9.99 for packing of 28g and €160.00 for wholesale. The other one is the Thai Kratom sold at €8.00 for the least disposal and 140.00 in wholesale price. 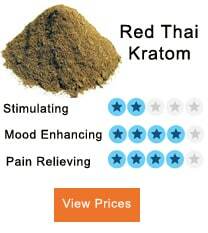 They are known to offer quality Kratom strains for many years. Their Kratom is grown on pure organic manure making it pure natural. Secondly, they never pick their Kratom when it is still young. They ensure that it rises to maturity to provide total alkaloid content. 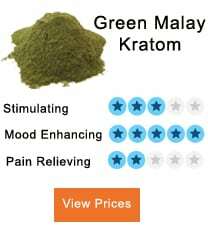 How to select quality Kratom? Kratom Infusion has a policy that ensures customers can choose quality Kratom that suits their needs. They guide customers according to their different varieties providing customers buys what they want. They also have a sample pack that customer buys at a low price to have a taste before making the first order. Kratom Infusion offers discounts to customers who buy in bulks. Package deals are for private members and are available in three bulk discounts namely 9oz, 18oz, and the 36oz deals. How they deal with coupons is based on how active a member becomes. A member has to fill the coupons form of inquiry indicating his or her private member number then submit it to the company to start receiving coupon codes. For a customer to receive customer service, he or she needs to create an account with Kratom Infusion. It is through this account, which is register with an email that one can ask a question and get answers delivered with minutes. Kratom Infusion has a reputation in offering quality Kratom for eighteen years. Their products are perfect and meet customers’ expectation. For you to contact Kratom Infusion, you need to visit their website and fill a form with an inquiry of what you want. You must remember to include your order number on the platform. Also, you can call this number 504.258.8622 for any enquires. You can place an order with them either through your account or through making a call on the above-provided number. If you have been looking for a reliable Kratom seller then you now have the best option; the Kratom Infusion. Their products are of excellent quality with affordable price. So make your order today and enjoy your Kratom. I’m highly addicted to this product which is not good for myself.i put off weight which causes illness. I want a higher dose to overcome my pain. Use it carefully. It has also some adverse effect with positive.